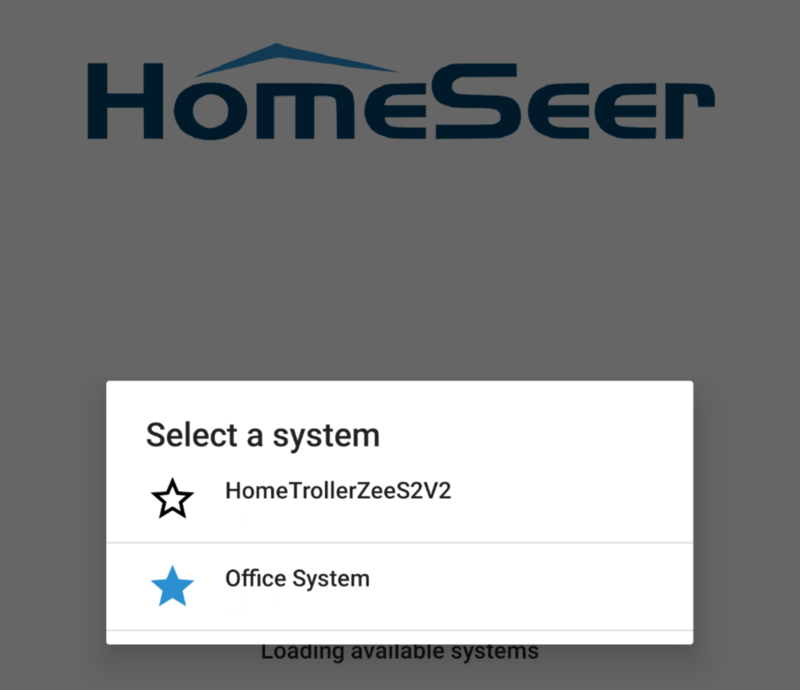 For users with one system, HomeSeer Mobile will auto connect to that system once connected. Users with a MyHS Premium subscription will be prompted to select a system when connecting. To auto connect to one of your systems, click the star next to that system before connecting. A blue star will indicate that you have selected a system as your favorite. If you have any questions about how to set up a Premium MyHS subscription or what it does, please read about it here.